Are you in the United States in refugee or asylum status? If so, you will need a refugee travel document to travel outside of the United States. A refugee travel document is a small booklet, similar to a passport, and is necessary to travel if you are a refugee or asylee. Without a refugee travel document, you may be unable to reenter the United States, or you may potentially face removal proceedings. 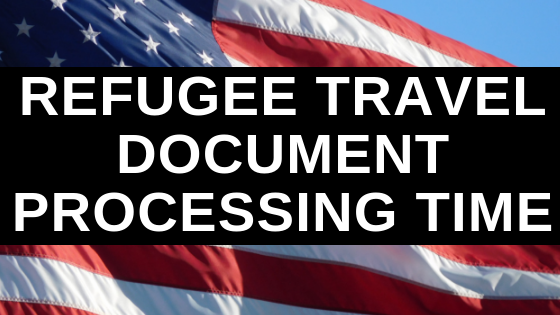 In this guide, I’ll discuss the refugee travel document processing time. I will also discuss how to overcome timing issues if you must leave the United States urgently. If you have any questions, you may email me directly at Michael@AshooriLaw.com. There are 4 main steps throughout the process of getting a refugee travel document. The first step in getting a refugee travel document is to file Form I-131 with United States Citizenship and Immigration Services (USCIS). The Form I-131 is the Application for Travel Document. Once this form is filed, USCIS will mail you a receipt notice. The receipt notice is the confirmation that USCIS has received your case. This notice will also have a unique receipt number which can be used to track your case through the USCIS case status tracker. The USCIS receipt notice should come in the mail within 1 to 3 weeks of filing your Form I-131. To get a refugee travel document, you must attend a mandatory biometrics appointment. At the biometrics appointment, your digital fingerprints are taken. Before your biometrics appointment, you are sent a biometrics appointment notice. This notice typically comes about 6 weeks from the time you file your refugee travel document application. The biometrics appointment notice specifies the time and date of the biometrics appointment. The appointment notice also includes important information about what you are required to bring with you to the biometrics appointment and how to reschedule the appointment if necessary. The actual biometrics appointment usually takes place about 8 weeks from the time the I-131 is filed with USCIS. Make sure to attend the correct USCIS Application Support Center as listed on the appointment notice. In addition, make sure to bring a valid form of identification such as a Driver’s License or passport. Your actual refugee travel document should be issued within about 2 to 5 months from filing your Form I-131. You may request that the actual document be sent to your U.S. address, your attorneys address (if you choose to work with an attorney), or to a U.S. consulate or embassy abroad. To find out the current USCIS processing time, you may also use the USCIS Case Check Processing Times resource. As a refugee or asylee in the United States, you should ideally be physically present in the United States when your refugee travel document application is filed with USCIS. You are still eligible to apply for a refugee travel document if you are outside of the United States, assuming your departure from the U.S. was less than a year before the application was filed. However, if you are outside of the U.S. when the application is filed, the USCIS director with jurisdiction over your case has discretion over whether to approve or deny your case. For this reason, it is best practice to remain in the United States until you receive your refugee travel document. However, many people have an urgent need to leave the United States and cannot wait 2 to 5 months for the refugee travel document to be produced. Now let’s discuss some potential solutions. If you cannot remain in the United States until the actual refugee travel document is produced, one option is to leave after attending your biometrics appointment. On the application for refugee travel document, you can request that the document be sent to a U.S. embassy or consulate abroad. The biometrics appointment is typically scheduled to take place roughly 8 weeks after filing the refugee travel document application. This would considerably shorten the amount of time you are required to remain in the United States. Another potential option is to request expedited processing of your refugee travel document application. In certain cases, USCIS will grant expedited processing of a case. Here is a link to the reasons why USCIS may grant expedited processing of a case. If you plan to request expedited processing from USCIS make sure that you have a good reason supported by evidence. Expedite requests are granted on a case by case basis and are granted at the discretion of the office leadership. Please send us an email if you have any questions about requesting expedited processing of your case. In some cases, you may be eligible to apply for a refugee travel document while you are outside of the United States. To be eligible to apply for a refugee travel document while you are outside of the U.S. you must apply within 1 year of your last departure from the U.S. You will have to include an explanation as to why you left the U.S. without first applying for a refugee travel document. The USCIS official with jurisdiction over your case will have the discretion to approve or deny your application. As someone with refugee or asylum status in the United States, traveling back to your country of claimed prosecution can have severe consequences to your immigration status in the United States. Such travel may be seen as a demonstration that your fear of persecution from that country is not genuine. In addition, such travel may be interpreted as a demonstration that you have voluntarily availed yourself to the protection of that country. Do you plan to travel to the country from which you are a refugee or asylee? Since you were accorded refugee or asylee status, have you ever returned to the country from which you are a refugee or asylee? Answering yes to either of these questions requires a written explanation along with your application and can be harmful to your chances of approval for a refugee travel document. As a refugee or asylee in the United States, you must have a refugee travel document to travel outside of the country. Leaving the United States without a refugee travel document, you may be unable to reenter, or you may face removal proceedings. For this reason, a refugee travel document is highly important. 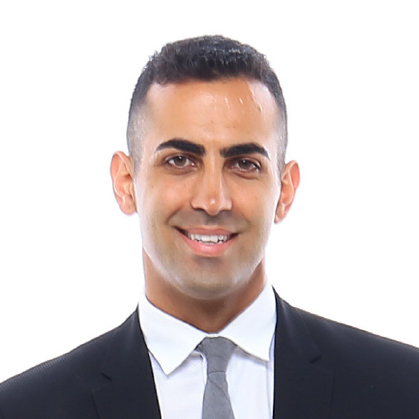 If you need assistance with your refugee travel document application, you may email me directly at Michael@AshooriLaw.com. I would be happy to help you.